The photo that I have shared on the screen was taken by someone down at Indiana University. It was shared to me by my granddaughter. I told her that I would use that in a sermon and today I am fulfilling that pledge. I really like that photo that pictures the difficult and narrow road. 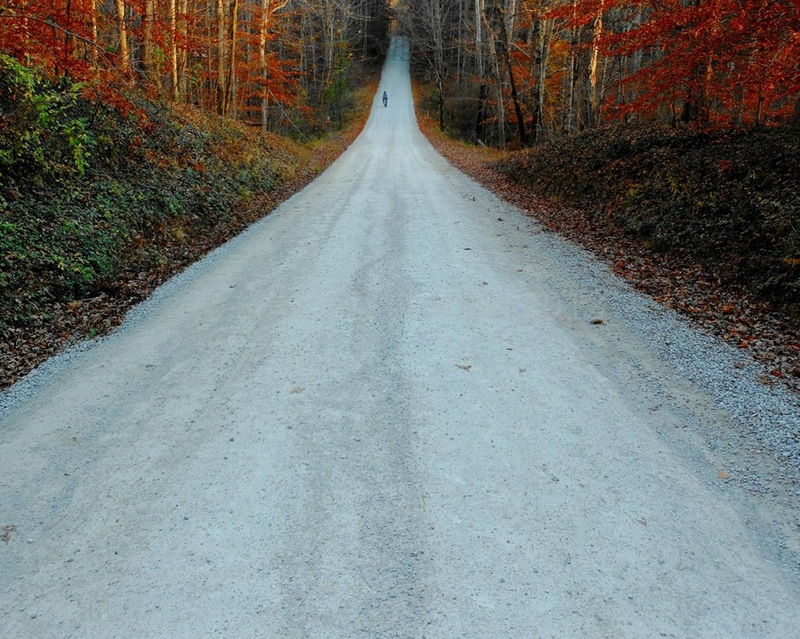 All of us need to be on the difficult and narrow road that leads to life eternal. I read about a farmer who had a dog that stayed by the side of the road and chased every car that came by. One day his neighbor said do you think that dog will ever catch a car. The old farmer replied that he wondered if he ever caught a car what would he do with it! At the end of my street we have a family that has a dog tied to the tree and every time we go by he barks and chases the car. He has worn a path all the way around the tree. And like the dog chasing after a car, many of us also are chasing after meaningless goals. And what are we going to do when we reach those goals that are without purpose? Someone has said, “Life is hard by the yard, but by the inch it is a cinch.” We all need to be pursuing worthy goals yard by yard an inch by inch! And so doing we will be blessed and satisfied when we reach those goals. There is a narrow road that is less traveled by. That is the road we all need to choose. And when we do, it will make all the difference in our lives, if we choose the one less traveled. Oh, we can get on the superhighway, and we can be with the majority of the people, but it doesn’t lead to a good destination. “Enter through the narrow gate. For wide is the gate and broad is the road that leads to destruction, and many enter through it. But small is the gate and narrow the road that leads to life and only a few find it. If you will notice in that statement that Jesus talked about two gates, two crowds, two destinations, and two choices. Therefore Jesus let us know why we should enter through and by the difficult and narrow gate. Why? Because one leads to eternal life and the other road leads to eternal destruction. I believe it was Yogi Berra who said, “When you come to a fork in the road, take it!” But which one are we going to take? Some people have no idea which road they ought to take. Many people just choose whatever way seems the best at the moment. But Jesus wants us to consciously and spiritually choose the right road, which is the difficult and narrow road that leads to eternal life. Let us look at the statement of Jesus about the road that leads to destruction. When we analyze that text, we see that Jesus gave us a command: “Enter by the narrow gate.” That is a command of Jesus to each one of us. And then the word “for” assigns the reason for the command to enter by the narrow gate. Why Jesus, should we enter by the narrow gate? Because the way that leads to destruction has a wide gate, and the way is broad, and there are many people who will enter by it. The gate that leads to destruction is wide open and the highway is broad like the interstate road system. And this allows for a lot of people who travel on it. It is said by some that the roads in Mexico City are very wide, but the drivers are all over the road. Jesus said that the way is broad that leads to destruction. The wide gate suits a lot of people in our contemporary society. We like to think that things should be broad. We like to be spoken of as being a broad minded individual. This means that we will have the goodwill of all the people—everybody will like us! To be broad-minded usually means to be open, loving, accepting and enlightened. We love the idea of being broad-minded and therefore the broad way appeals to a lot of people. Back in the book of Judges we have the record of God’s people going in a circle. They would sin greatly, and then God would send a people to punish them, to correct them, and to discipline them. Then they would cry out for help to the Almighty and he would send a deliverer who would rescue them from their enemies. They would have peace and would prosper for a while and then they would go back through the same cycle again. That cycle is repeated over and over again in the book of Judges. The reason that this happened is stated in the book of Judges: “in those days Israel had no king; everyone did as he saw fit” (Judges 21:25). You know it seems to me that a lot of people in America are reaching that point today. Many people do not respect the police, they do not respect anybody in authority, and they do not respect the law. Their attitude seems to be, “I will do whatever I want to do and you better not try to stop me.” That is the spirit of many people in our country and it does not portend good things for our country. The wise monarch Solomon gave all of us this advice: “there is a way that seems right to a man, but in the end it leads to death” (Proverbs 14:12; Proverbs 16:25). Therefore, just because something seems right in our mind does not mean that it leads to the right destination. And Jesus teaches us that while the broad way may seem right it leads to eternal destruction. He stated emphatically that the broad way is the way of the big crowds. He said many people will enter by the broad way. Many of the community churches today are very broad minded and just about anything can be taught and practiced. And the people who attend rationalize by thinking, how could so many people be wrong? And they take comfort in being among so many people. “Brothers, join in imitating me, and keep your eyes on those who walk according to the example you have in us. For many, of whom I have often told you and now tell you even with tears, walk as enemies of the cross of Christ. Their end is destruction, their god is their belly, and they glory in their shame, with minds set on earthly things” (Philippians 3: 17-19 ESV). All of us in Christ must live in such a way that we are a good example to each other in the church, to our family and children, and to our neighbors and work associates. We should live in such a way that when people observe us they would want to live like us and serve God in a spiritual way. That’s enough on the way that leads to destruction. There is a better way and let us now look at the way that leads to eternal life. Jesus balanced his teaching in Matthew 7:13-14 by also in contrast pointing the way that leads to eternal life. The preposition “for” again assigns the reason why we should enter the small gate. We are commanded to enter the small or strait gate. Why? Jesus answers that question for us: “For the way that leads to life difficult and narrow, and few are those who find it” (Matthew 7:14). It is very plain that very few will find the way that leads to eternal life compared to the many who head down the broad road to destruction. “Few there are that find it”! I want to be among the few that find that difficult and narrow way that leads to life. And I pray that you do also. Our Lord tells us that the gate is small and difficult to enter. On one occasion the rich young ruler came to Jesus and said, “Good master, what must I do to inherit eternal life? Jesus said, “Keep the commandments.” He said which? Jesus pointed him to the 10 Commandments. He said I have kept all of those from my youth. What do I lack? You lack just one thing, go, sell, give to the poor, come, take up your cross and follow me and you will have great treasure in heaven. But the record says that he walked away and was very sorrowful because he had great treasure and riches. His riches were more important to him than doing what the Lord asked him to do. The gate is difficult and small through which we enter into the narrow way. Afterward Peter and the rest the apostles asked Jesus what they were going to receive since they had left all and followed him. What are we going to have since we have left our fathers and mothers and our lands our houses and everything to follow you? Jesus promised them that they would have 100 fold in this life and in the life to come eternal life. That is a good promise is it not? After entering the difficult and small gate Jesus pointed out that the way is narrow. To be narrow-minded today means to be harsh, judgmental, damning, and to be ignorant. Sometimes truth and righteousness is narrow. The way that leads to life is difficult and few people will be on it because it is narrow. And sometimes we must be narrow-minded to be on the narrow way that leads to life. In order to gain victory, like Jonathan in the Old Testament who had to squeeze through a very narrow pass in order to accomplish good, we must enter the narrow way (1 Samuel 14:4-5). In contrast to the many who are on the road to destruction, Jesus said that there will be few who will find the narrow road that leads to life. When we look around today at the way people are going about their lives, we realize that the majority are on the broad road that leads to destruction. Most people no doubt are on the Highway to hell. Down through the ages God has always been the God of the minority. In the days of Noah only eight people were saved by water while the majority was destroyed by the flood. The saved were in the minority. Noah and seven others were saved by water just as we are saved by the antitype baptism (1 Peter 3:18). When we mention water baptism for the forgiveness of sins today, even many religious people will say you are very narrow-minded. How could water baptism save anybody? Lot was delivered from the fiery destruction of Sodom and Gomorrah because of the ungodly and sinful lifestyle of the people living in those cities. Lot was in the minority. His wife looked back probably because she had children that would not leave that city. There is nothing like the love of a mother for her children. She looked back instead of looking forward and she didn’t make it. In Luke’s account of the life of Christ, Jesus taught the people these words: “If anyone would come after me, let him deny himself and take up his cross daily and follow me. For whoever would save his life will lose it, but whoever loses his life for my sake will save it. For what does it profit a man if he gains the whole world and loses or forfeits himself” (Luke 9:23-25 ESV)? The idea is that whoever wants to save his life will lose it. And whoever will lose his life for Jesus will save it. What have we really gained if we have gained the whole world and we end up losing our own soul? “But he will answer, ‘I don’t know you or where you come from.’” (Luke 13: 22-25 NIV). The pleasant little rivers with the drifting folks are crammed. You’ll find the ranks are thinning and the travelers are few. Where the going is smooth and pleasant you always find the throng. For the many, more’s the pity seem to drift along. In the end result, glory, for the never wavering few. Eternal life and glory is for the never wavering few. What a great blessing to be found in Christ Jesus our Lord. Therefore we have two choices that we can make and two roads on which we may travel. Which choice and which road we travel makes all the difference in the world. Do any of you have trouble making decisions? What about your choice of heaven or hell? How do we reach our destination and what road should we take to get to heaven? What road do we take to go to hell? There are really only two choices—the right choice or the wrong choice. I have always felt sorry for him because he led those people through the wilderness wanderings for 40 years. But when his life was almost over and the children of Israel were ready to march into the Promised Land, God said to Moses, “I will let you look over into that land but you will not set your feet up on it.” “I am not going to let you go into that land, but I will let you go up on top of mount Pisgah and see that wonderful land that flows with milk and honey. Moses, prepare to die on this side of the Jordan River.” That just doesn’t seem fair from a human standpoint. But God had his purpose and his ways are not our ways and his thoughts are not our thoughts. “Now therefore, fear the Lord, serve Him in sincerity and in truth, and put away the gods which your fathers served on the other side of the River and in Egypt. Serve the Lord! And if it seems evil to you to serve the Lord, choose for yourselves this day whom you will serve, whether the gods which your fathers served that were on the other side of the River, or the gods of the Amorites, in whose land you dwell. But as for me and my house, we will serve the Lord” (Joshua 24:14-15 NKJV). As our children were growing up, I would often quote that verse. And I included my wife and children. But now when I say as for me and my house we will serve the Lord, I am only talking about Sarah and me, because our children have grown up and we now have grandchildren and great-grandchildren. And now they have to make that choice for themselves and their family just like I did many years ago. Every family must make their own choice, even our children, grandchildren and great-grandchildren. Elijah the prophet challenged the people of his day to choose God over idolatry. Elijah went before the people and said, “How long will you waver between two opinions? If the Lord his God, follow him; that if Baal is God, follow him” (1 Kings 18:21). Like us, they had two choices. They could either follow the Lord God or they could follow after Baal. God’s way was the difficult and narrow way. But the way of Baal was the broad way that leads to destruction. Also Jeremiah the prophet pictured the people as standing at the fork of the road and having to make the choice as to which one they would make: “Stand in the ways and see, And ask for the old paths, where the good way is, And walk in it; Then you will find rest for your souls. But they said, ‘We will not walk in it’” (Jeremiah 6:16 NKJV). I like the ancient paths that our forefathers traveled. 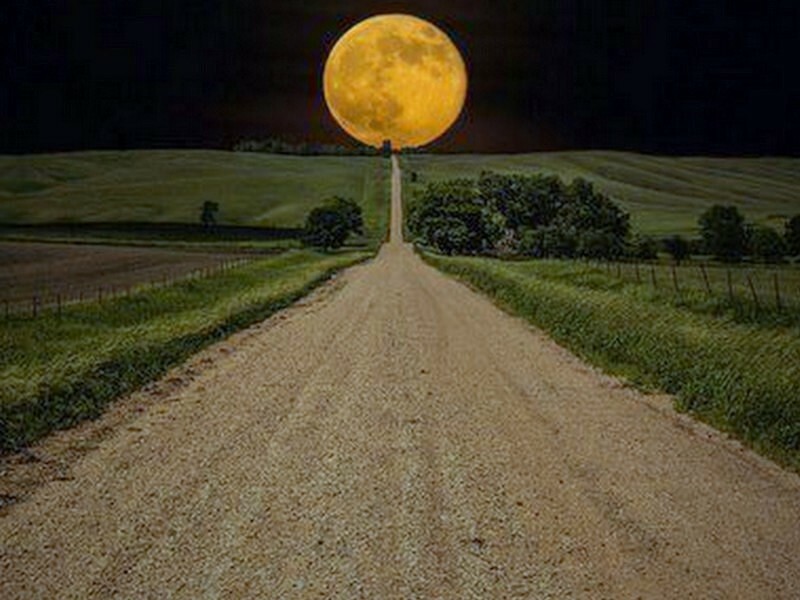 I want to stay on that road. The old way of the eternal God is good enough for me. It is the way that leads to eternal life. And that way can never be improved upon by any moderns. So I say to all of you that we need to make the right choice today if we have not started out on the difficult and narrow road. Remember what Jesus said, “Enter by the narrow gate; for wide is the gate and broad is the way that leads to destruction, and there are many who go in by it. Because narrow is the gate and difficult is the way which leads to life, and there are few who find it” (Matthew 7:13-14 NKJV). So we have to make a choice and we are challenged to make the right choice. The prophet Jeremiah said, “I know, O Lord, that a man’s life is not his own; it is not for man to direct his steps” (Jeremiah 10:23 NIV). He also cried out, ““The heart is deceitful above all things, And desperately wicked; Who can know it” (Jeremiah 17:9 NKJV)? Jesus exclaimed, “Strive to enter through the narrow gate, for many, I say to you, will seek to enter and will not be able“(Luke 13:24). Near the end of the great Sermon on the Mount, Jesus emphatically said that many people will not make the right choice and therefore will be asked to depart from the Lord at the last day (Matthew 7:21-23). Jesus Christ is the narrow and only way to eternal life: “I am the way and truth and the life. No one comes to the father except through me” (John 14:6). Shortly after the church of Christ was established in the city of Jerusalem, there was a great persecution against those who chose the narrow way. The apostles were even charged not to teach or preach in the name of Christ any longer. But they would not be intimidated. The apostle Peter stood up and courageously stated, ”Salvation is found in no one else, for there is no other name under heaven given to men by which we must be saved” (Acts 4:12 NIV). In America today many of the public institutions do not allow people to say the name of Jesus. But will we be a coward or as courageous as the apostle Peter? Let us never be ashamed to say the name of Jesus. When we choose the narrow way we must choose the narrow gate which is Christ Jesus the Lord: “I am the gate; whoever enters through me will be saved. He will come in and go out, and find pasture” (John 10:9). But the question is how do we enter and go through the narrow gate or door? How may we come unto and into the way that leads to life? An older preacher pointed out these different prepositions to me and I’ve never forgotten what he taught me. There is a great difference between UNTO, INTO, and IN! “that if you confess with your mouth the Lord Jesus and believe in your heart that God has raised Him from the dead, you will [Emphasis SGF] be saved. For with the heart one believes unto [Emphasis SGF] righteousness” (Romans 10:10 NKJV). “When they heard these things, they held their peace, and glorified God, saying, Then hath God also to the Gentiles granted repentance unto [Emphasis SGF] life” (Acts 11:18 KJV). “For with the heart one believes unto righteousness, and with the mouth confession is made unto [Emphasis SGF] salvation” (Romans 10:10 NKJV). “Or do you not know that as many of us as were baptized into [Emphasis SGF] Christ Jesus were baptized into [Emphasis SGF] His death? Therefore we were buried with Him through baptism into [Emphasis SGF] death, that just as Christ was raised from the dead by the glory of the Father, even so we also should walk in newness of life” (Romans 6:3-4 NKJV). Once an alien sinner has believed unto, repented unto, confessed unto and baptized into Christ, that person is saved from sin. At the point of salvation that is found in Christ Jesus we are then in Christ! “All spiritual blessings in heavenly places are in Christ” (Ephesians 1:3). Salvation is therefore to be found in Christ (2 Timothy 2:10).